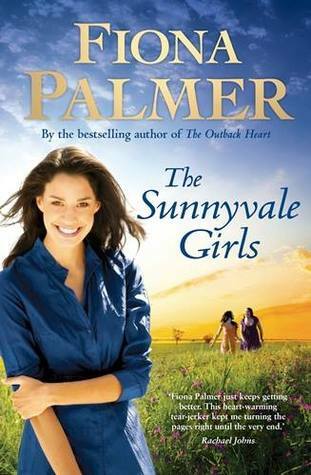 The Sunnyvale Girls was a moving, heart warming and at times heart breaking story, set mostly on a farm in Western Australia. Three women, linked by family and their love for each other and the land they farm. It ranges in time from the early 1940's when there were Italian POW's working on farms in Australia to the present day. Maggie grew up on the farm, and met Rocco while he was a prisoner of war, however fate and others conspired to set them apart. Now Maggie is a woman in her seventies, she is still active in the kitchen and garden and deeply loves her daughter and grand daughter. She is a beautiful woman, kind and loving, with some heartache that she mostly keeps to herself. She has buried her husband and despite the hardships of life feels satisfied with her life on the farm. Toni her daughter is in her early fifties, she runs the farm, probably as good as or better than any other local male farmer. She is tough, stubborn and hard working. Upset her and she'll remove herself from your environment, as Maggie knows to her heartache. She has never married, but has a daughter from a passing farm worker. She adores her daughter and would love to see her travel and widen her horizons. The present farm worker, Jimmy, ten years younger than Toni, loves her - but Toni is not ready to be involved. Toni can be a little prickly! Flick or Felicity is in her early twenties and loves the land, a ride out on her beloved horse Contractor with her dog in the early Australian morning fulfils Flick. She loves Maggie and Toni and it hurts her when her Mum is not speaking to Maggie. This time it is serious, Toni is hurt because Maggie has been keeping a secret that has profound repercussions for Toni. These three women are basically happy fulfilled people, but can they make the journey into something more? Each of them have risks to take and still more 'places' to go. I found the plot moved a little slowly in places, however the settings and details were very authentic and at times I felt like I was reading a true life story. In the end it was a very satisfying read, even if I felt a little heart wrung out!